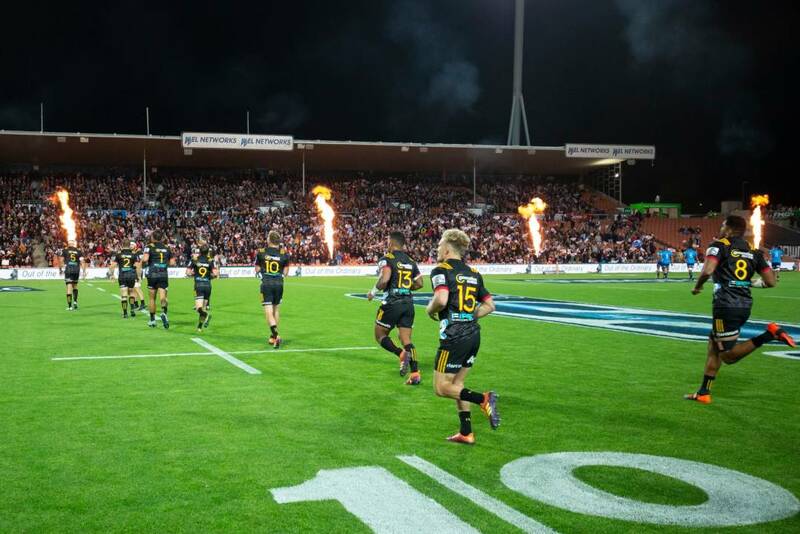 Following the exciting 33-29 win over the Blues at FMG Stadium Waikato last Saturday, the Gallagher Chiefs will return to host the Lions on Good Friday. Gallagher Chiefs fans will be able to kick start their Easter Break by soaking up the live atmosphere, enjoying a refreshing beverage, nibble on a hot cross bun and experience plenty of live entertainment. It will not be just for the rugby fanatics but the whole family. In the spirit of Easter fans attending are encouraged to keep an eye out for the Gallagher hot cross bun throw pre-game. Gallagher have supplied 300 6-packs of hot cross buns which will be thrown into the crowd for spectators to enjoy while watching the game. Continuing with the Easter spirit, all kids will get a free snack* thanks to Leader and their complimentary “Mac n Cheese bites”. “Mac n Cheese bites” vouchers will be available at each of the 1-day.co.nz fun zones at each gate entry. Kids are welcome to collect a free kids pack with their game ticket when they arrive which includes a boot bag filled of Gallagher Chiefs goodies and an Easter surprise. This week fans are treated to a massive Gallagher Chiefs Easter sale with 20-50% off the entire range of merchandise and apparel, which is available for purchase at the game. After the game the Gallagher Chiefs players will congregate at bottom of the Brian Perry Stand to sign autographs with the fans. There will be loads of Splice Construction rugby balls thrown into the crowd after the final whistle for the perfect keepsake. Emma Langman sponsor and community relations manager hopes Gallagher Chiefs fans enjoy the extra freebies on offer at the Gallagher Chiefs match this Friday. *To get your free kids mac n cheese bites, head to the 1-day.co.nz fun zones to collect your voucher. Vouchers are redeemed at Montana concession stands on game day.